Ms. Hernandez was an HIV-positive trans woman who fled Honduras to seek asylum in the United States. While in Cibola, Ms. Hernandez did not receive necessary medical care and medication, leading to her hospitalization and ultimate death. According to an independent autopsy report, Ms. Hernandez endured physical assault and abuse while in custody. Specifically, forensic evidence indicates she was handcuffed so tightly as to cause deep tissue bruising and struck repeatedly on the back and rib cage by an asp or similar instrument while her hands were restrained behind her back. The attorney filing the notice on behalf of Hernandez and her family stated in a press release on the Transgender Law Center’s website that they plan to file a lawsuit against “relevant federal agencies” if requests for documentation around Hernandez’s death and treatment while in custody are not met. 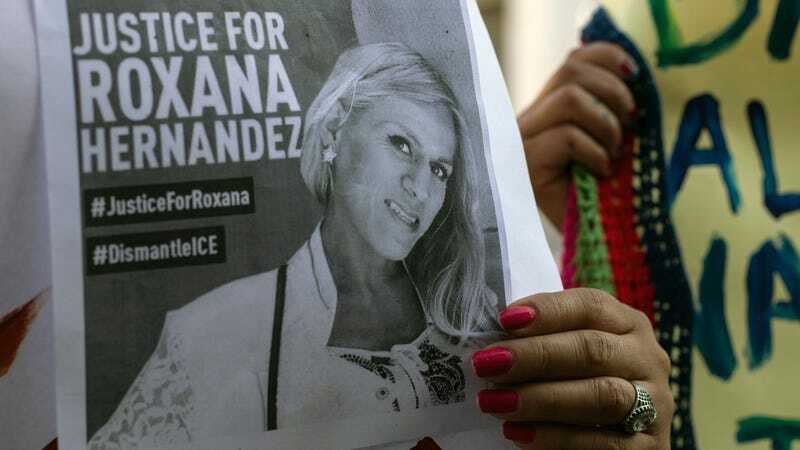 A spokeswoman for the correctional facility that detained Hernandez told the Washington Post in a statement that “We’re also committed to providing a safe environment for transgender detainees.” ICE, according to the Post, declined to comment.